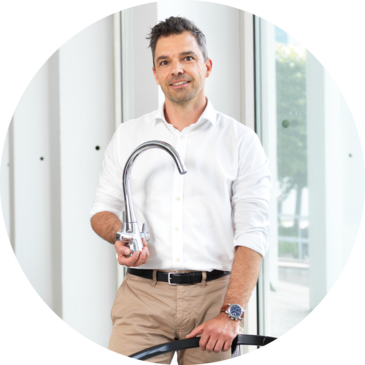 What should the tap of the future look like? Which functions will be needed? These were some of the questions we asked - both Danish consumers and ourselves. A design day, concept selection and presentation to a focus group supplied us the answers. We called the design concept cosy chrome and the result was Bell. Our own designer, Jakob Jensen, says:"The idea behind Bell was to take something cold and sharp and make it soft and round. Then make it natural and inviting. In addition, Bell was designed using fewer gradients and openings, making it extremely easy to clean."